Captain Marvel / Ms. Marvel Reading Order! You don’t see nearly as many successful legacy characters in Marvel as you do in DC, but Captain Marvel (and Ms. Marvel) makes for one of Marvel’s strongest progressions through time. You have sevearl separate core characters that have occupied a “Marvel” title over time, and to make matters even more complicated, DC of course has their own Captain Marvel and Marvel Family! 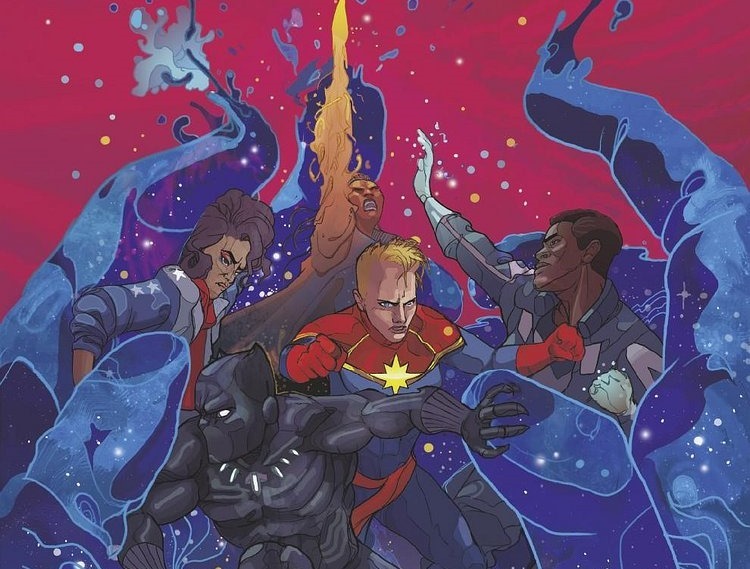 Tedious and unappealing copyright explanations aside, the Marvel Comics Captain Marvel legacy has featured some of the best cosmic comics in Marvel history, the first Marvel graphic novel , and recent standouts during Marvel NOW! Below you’ll find a proper reading order and suggested comics for all eras of the Captain Marvel legacy. XI) Kelly Sue Deconnick’s Captain Marvel – Enter the Carol Corps. Of all the Captain Marvel origins, Doctor Philip Lawson is perhaps the most overlooked. The Captain Marvel mag began as an early foray into Marvel Cosmic, with a story launching out of Fantastic Four (Many Marvel characters like Black Panther or Silver Surfer have similar FF beginnings). Stan Lee writes the first appearance of Captain Marvel in Marvel Super Heroes #12, but it’s Rollicking Roy Thomas who takes it from there. 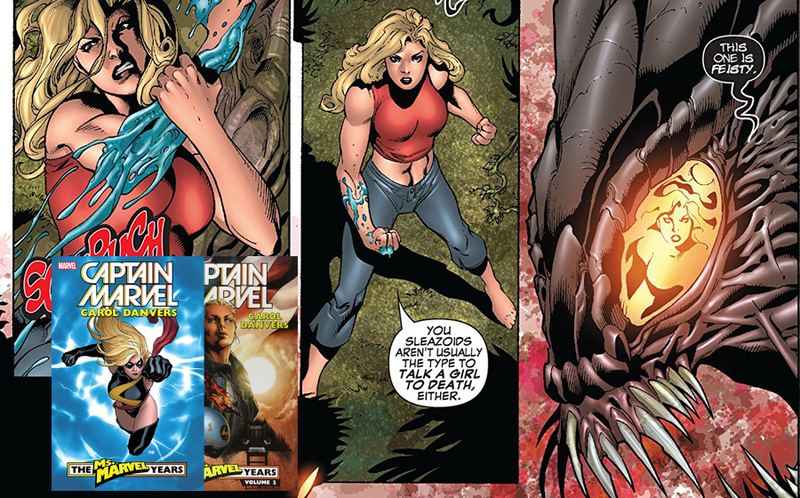 The first 16 issues of Captain Marvel are for die-hards only, although the Kree-centric story is referenced frequently in Kelly Sue Deconnick’s later run on Captain Marvel. Captain Marvel #17 marks both the beginnings of Mar-Vell’s more familiar costume, and his ties to Rick Jones. As you’ll note, the essential volume one overlaps with the preceding collection. Masterworks volume 2 is well out of print, and this lone essential collection is going to be your most cost effective bet for the first 21 (+2) issues of Captain Marvel. Which brings us to the good stuff. II) Jim Starlin’s The Life of Captain Marvel & Thanos War! 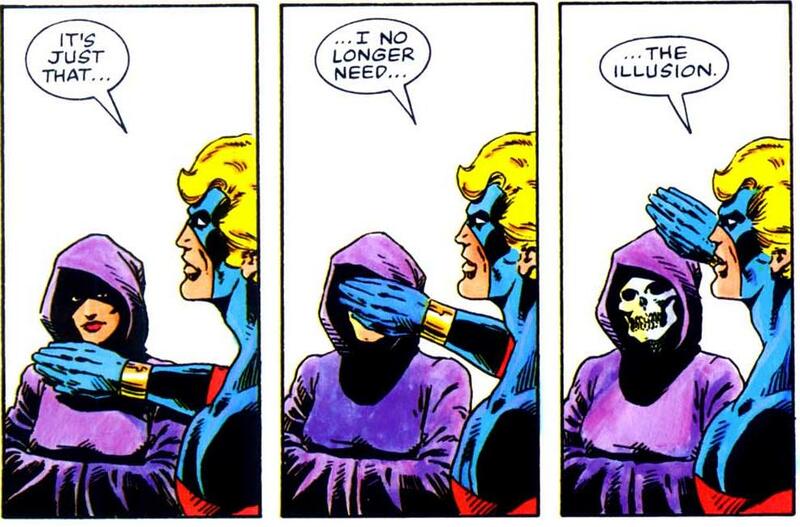 Jim Starlin is one of my all-time favorite Marvel writer / artist / storytellers. For the unfamiliar, Starlin is the cosmic brilliance behind the likes of The Infinity Gauntlet and just about all of the Thanos comics worth a lick. If you have a basic familiarity with The Avengers, you’re going to be just fine jumping into this great from Roy Thomas and Neal Adams at the peak of their comic powers. There are some era-specific oddities (Hawkeye is pretending to be Giant-Man… these things happen), but otherwise these are basically your father’s Avengers. Get ready for a lot of early 70’s Cosmic awareness, and the first appearance of Thanos in The Thanos War! One of the best early Marvel cosmic stories. For those on Marvel Unlimited, read Iron #55 prior to Captain Marvel #25, and read Avengers #125 prior to Captain Marvel #33. Following Captain Marvel #34, we enter an oddly overlooked stretch on Captain Marvel. Issues #35 to #46 can be found in the Essential Captain Marvel, Vol. 2 but you’re largely out of luck (in collections or Marvel Unlimited) from the remaining issues in the 70’s. If you enjoy Starlin’s run on Captain Marvel, I would highly recommend you also check out his follow-up on Adam Warlock. As you’d expect, this is an Adam Warlock story (as well as a Thanos follow up). Nonetheless, for the Captain Marvel fanatics, Avengers Annual #7 features the return of the great Mar-Vell in “The Final Battle” against Thanos! III) Carol Danvers – Ms. Marvel! 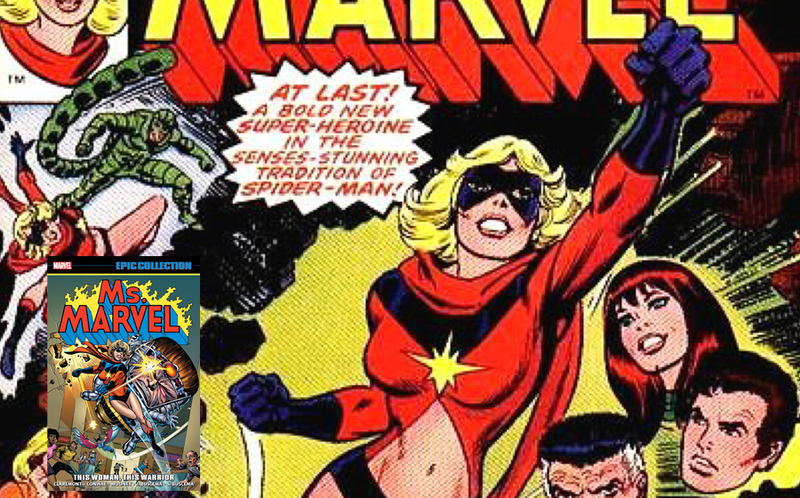 While Carol Danvers appears as a supporting character throughout Captain Marvel’s series, it isn’t until 1977 that Carol dons the Ms. Marvel mantle. As it stands (4.16), only the first issue of Carol’s first ongoing, by Gerry Conway and John Buscema, is included in Marvel Unlimited, making the essential collection your best bet. Meanwhile, over in the pages of Avengers #168 to #177, Captain Marvel makes a number of appearances in the classic Korvac Saga. This will take you right up to the threshold of Avengers #200, which is for all intents and purposes the most sickly twisted Ms. Marvel story in history. The early 80’s stay pretty terrible for Carol Danvers, as she encounters Rogue and Mystique in Avengers Annual #10. This is one of the more frequently referenced comics in Marveldom, as it forms the genesis of the Rogue we know in the X-Men. Marvel’s very first graphic novel, produced by Jim Starlin in 1982. It remains perhaps the most well known Marvel graphic novel, with the possible exception of X-Men: God Loves, Man Kills . V) Carol Danvers – Binary & The Uncanny X-Men! Carol gets back in the superhero game as Binary during Chris Claremont’s run on the Uncanny X-Men. Now, while I would always encourage to just up and read the whole Claremont era of Uncanny X-Men, your most Carol-centric issues run from Uncanny X-Men #150 to #203 (that final issue is a Secret Wars II tie-in). Uncanny X-Men #158 to #167, and Uncanny X-Men #171! VI) Monica Rambeau – Captain Marvel! While she has become a lesser known Captain Marvel, and more known for her leadership in Warren Ellis’ phenonmenal Nextwave , Monica Rambeau was in fact both Captain Marvel and a member of the Avengers for nearly all of the 80’s. Carol Danvers, now in her Warbird identity, is in and out of the Kurt Busiek and George Perez run on Avengers, which can be found in Marvel Unlimited as Avengers (1998 to 2004). I explain how to navigate Peter David’s Captain Marvel series in more detail here. Avengers Forever – Not specifically dedicated to Captain Marvel, but explains Genis-Vell in the role. Ms. Marvel (Carol Danvers) finally gets her own ongoing again from early 2006 to early 2010, and she also joins the Mighty Avengers following the aftermath of Civil War. Nextwave occurs during this time period as well. 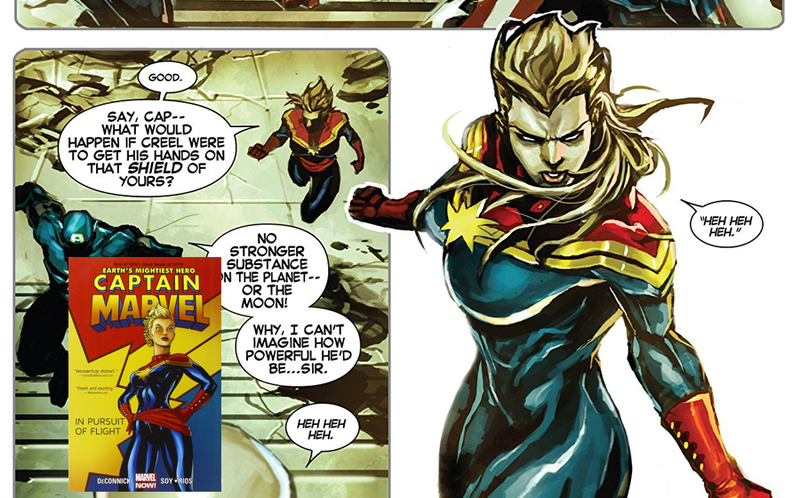 So does the really weird post-Civil War five issue Captain Marvel solo series. You can also see how these issues fight in with the rest of Civil War. You can also see how these issues fit in with the rest of Secret Invasion. You can also see how these issues fit in with the rest of Dark Reign. Thinking slightly outside the box on this one, the Dan Abnett and Andy Lanning Marvel Cosmic run is well worth a read regardless of the Captain Marvel connections. Even so, these great cosmic issues do include plenty of Phyla-Vell, as well as a Captain Marvel connection later in the run as we approach the Thanos Imperative . So here’s the deal – if you’re all in, check out my Marvel Cosmic guide from Annihilation through Thanos Imperative. If you’re here for the Carol Danvers and Kamal Khan, these aren’t the droids you’re looking for! While not included in the first Captain Marvel by Deconnick collection, Avenging Spider-Man issues #9 and #10 both feature a Carol Danvers and Spider-Man team-up story written by Kelly Sue. Chronologically these issues fall more or less right in the middle of Captain Marvel #1, and can either be read alongside the first issue, or after the first arc. Infinity – Captain Marvel’s final issues get tied-up in the 2013 Infinity event. If you’re reading on MU, just read Captain Marvel #15 to #17. 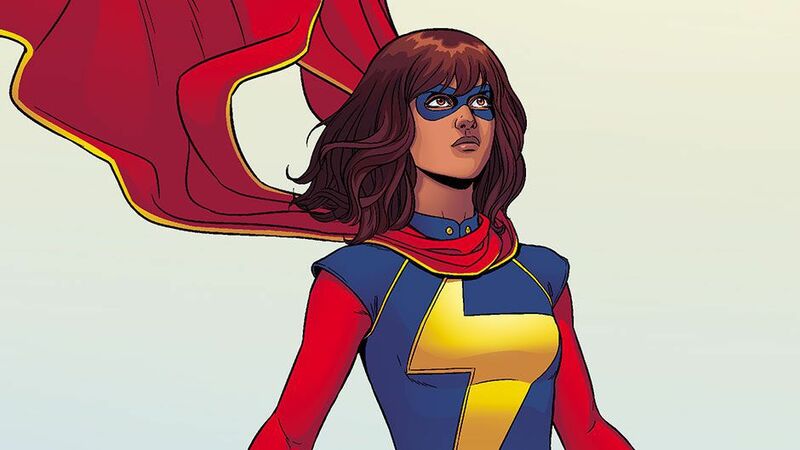 XII) A New Ms. Marvel – Kamala Khan! The great new Ms. Marvel launches during Marvel NOW! Kamala’s series extends for 19 issues prior to Secret Wars, and the relaunched Captain Marvel starring Carol Danvers runs for 15 issues. Following Secret Wars, the All-New All-Different Marvel Universe quickly adds rising star Kamala Khan to the Avengers. The above two collection include tie-ins to Marvel’s 2017 event, Secret Empire. Thanks for the list, Dave. I’ve also read the A-force and I thought that was a pretty fun comic with Captain Marvel. Perhaps you could include it in the list?